Ever since his radio program ended its lengthy simulcast run on YES Network, the question has been where Mike Francesa's future television home will be. We're now much closer to finding the answer. Newsday's Neil Best, who is as plugged in to all of Francesa's comings and goings as anyone, reports that it will be Fox Sports 1 that provides a national simulcast to Mike's On. There are some very interesting questions to this move by Fox and Francesa if this indeed comes to fruition. It was long thought that MSG would be the most logical landing place for Francesa's simulcast in the New York market. But now for the second time this year, a local New York show is going national with Francesa heading to Fox Sports 1. Earlier this year CBS Sports Network began a simulcast of the WFAN morning show Boomer & Carton. How will a national audience respond to a show about New York sports? Granted, Mike Francesa is the kingpin of local sports talk radio, but we're ultimately still talking about a local show. Are FS1 viewers going to want to invest time in watching Mike Francesa talk about the Jets and Giants every Monday in the fall for hours on end? It's doubtful. Perhaps Francesa will change the tilt of his show towards a more national audience, but that's doubtful too. His first priority is still to his New York audience. What about the Fox side of the equation? FS1 certainly needs the boost in star power and buzz with its daytime ratings still failing to get out of the starting blocks. Simulcasting Francesa's show gives the network a live programming option for the afternoon that should be relatively inexpensive. Simulcasting radio shows have become the trend in sports television to carry networks throughout the day with live programming. But decisions will have to be made with their current lineup. FS1's live studio shows begin at 4 PM ET with NASCAR Race Hub and then Crowd Goes Wild at 5 ET and Fox Football Daily at 6 PM ET. Francesa's radio show traditionally runs from 1-6:30. 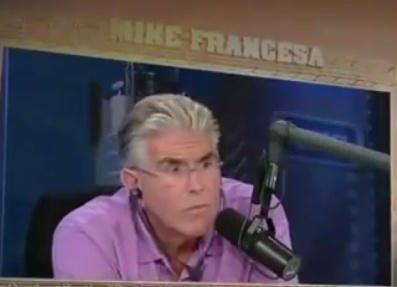 Would Fox sacrifice two of their shows for Francesa? Would Fox run the first three hours of Francesa's show and maybe ask the host to talk about more national topics during those hours? We'll have to wait and see for those answers. But for now we can rejoice in the fact that the Mongo Nation is truly going national.